If you’d have told me five years ago that I’d be a dance mom, I’d have given you side-eyes with a firm, “You’ve got to be kidding me.” It’s funny how unexpected things end up happening in life. Fifteen competitions, dozens of tights, countless dance shoes, bun after bun after bun, and many pointed toes later, I am officially a dance mom. Me. The ungraceful, only-took-dance-in-kindergarten, no-time-for-drama, foodie, writer, social media geek. I’ll tell you what. I’ve learned something over the past five years about dance moms, dance studios, and dance companies. The biggest lesson being this: award winning dance companies are often NOTHING like the TV show phenomenon Dance Moms, despite all the heavy press it gets. All the yelling, the crying, the yelling, the weekly competitions, the yelling, the catty moms – and did I mention the yelling? UGH. The dancers I know aspire to head off to college, major in dance (or something completely different than dance), land a professional gig, or maybe even a spot on So You Think You Can Dance. Or they want to teach dance. Or, they simply enjoyed dance while going through school, and then they’re done. It’s a relief, and also inspiring. Do you have a kid who has his or her heart set on joining a dance company? 1. YouTube videos are your friend. Whether you’re trying to decipher the difference between a ballet bun, a low bun, a middle bun, a flat bun, a left side part bun, a right side part high ponytail, a low side ponytail, or simply need a few tips to keep your daughter’s hair slick and all the flyaways at bay, there are two words you need to remember: YouTube Videos. I feel somewhat like a seasoned pro at fixing dance hair these days, but even I lose track of the intricacies involved in making a bun flat instead of round. Plus, now that my daughter is approaching 11 years old, she’s able to do most of her company competition hairstyles all by herself, thanks to YouTube! Related: Even though I hate the TV show Dance Moms, I still couldn’t help watching this video (featuring 11 year old Maddie, one of the show’s dancers) hundreds of a few times. It’s amazing to think she was about the same age as my own daughter when she filmed this video! 2. Your daughter will start speaking French. “Mom. What do you mean you don’t know what pas de chat is?” Ummm…. Not the cat? Along with saying strings of classical ballet terms – in French – my daughter also has a journal where she writes the movements down. She creates dances. Choreography. IN FRENCH. I’m equal parts amazed and fascinated, and maybe even a little jealous of her ability to retain and apply the knowledge! By the way, the term pas de chat means cat’s step, as in the likeness of the movement to a cat’s leap. So, there you go! 3. Also? It’s cool when there are boys! I love that there are an increasing number of boys joining my daughter’s studio, and not just for hip-hop classes. (How cliché.) These boys do ballet, lyrical, jazz – all of it! It’s great for partnering during certain pieces of choreography, and also adds another layer of diversity to what’s normally a mix of girls. There aren’t many other sports where boys and girls can continue to play for the same team, but dance is one where it’s encouraged. 4. Company dancers work hard. Like, really hard. 5. It’s more about technique than turns. 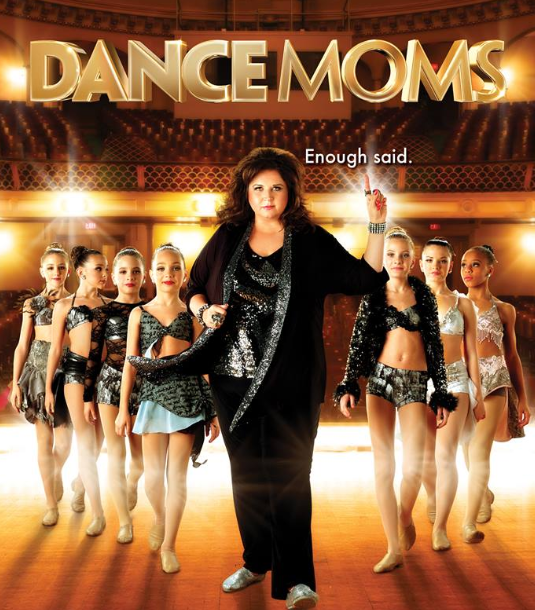 If you watch Dance Moms, you notice that many of the dancers often do never-ending pirouettes in their numbers. Continuous turns, around and around and around and around. It’s become a “thing” for many competition dancers, but not for the girls at our studio. Endless pirouettes give a wow factor, for sure. And many dance companies have very young girls and boys who know how to do a bunch in row, with precision. Yes, it’s impressive; there’s no denying that. 6. Less is not more. As in, dance gear. Find a studio that takes pride in age appropriate costumes for girls. Enough said. 7. Buy stock in hairnets, bobby pins, hairspray and flesh colored hair-ties. Even though every year I purchase enough hairnets, flesh colored hair-ties and bobby pins to prepare a ballet army for Swan Lake, somehow as competition weekends get closer, they are all missing. ALL OF THEM. Last minute drugstore runs to restock are a must, and I always hope some other dance mom hasn’t already stripped the hairnet section clean before I arrive. Because, hairnets aren’t easy to come by at the last minute if they’re not at the drugstore!!! 8. Make-up skills for days. After half a dozen YouTube tutorials (ahem, #1), and several years of practice on my daughter, it’s safe to say that I have make-up skills for days. STAGE make-up skills, that is. On girls. Are they translatable to my daily life as a grown woman? Nope. Although, I have been known to borrow her concealer now and again (it’s really good). 9. Dance moms become a tribe – and so do the dads. The group of moms and dads at my daughter’s dance studio get along famously. This is especially important for those of us with kids in the dance company, since we spend A LOT of time together during competition season. We’ve become a tribe! We laugh, we support each other’s dancers, and we help out when one of us isn’t able to be there. It’s a great support system in [what can be] a very chaotic, emotional and busy world. So, Now What?You and your dancer have to love the studio where he or she will be spending hours and hours. You need to respect the teachers—not only their dance knowledge (yes, that’s important), but also their teaching style and focus. Are there girls and boys of all different shapes and sizes? Where do their graduating dancers land? How many get dance scholarships? Do they get selected for professional companies? And most important of all, are the dancers having fun? AND is having fun encouraged? Is having fun given more weight than winning?? Because dancing should be fun most of all! This scares me on so many levels. What age is appropriate? I find that kids start activities so young now at 6 we feel behind! It depends on the studio and the child, honestly. My daughter started with the Company at 6 years old, and she only did ballet. It was simple, and fun. (Which it should be!) That said, plenty of others join the Company later at 9, 10, 11 – shoot, Misty Copeland didn’t even begin dancing until age 11, and she’s now a principal dancer with The American Ballet Theater! 😀 My point is, age doesn’t matter so much. Having fun, and not overdoing it, do matter. I started at age 8, now my niece is starting at 3. But 6 is a great age to start in ballet especially, and then when they get older(at our studio at least) we usually put them in jazz, and tap, a few years later in lyrical. But it’s all up to you 🙂 Some just stick to ballet. I’d say, go for it! I found this while pinning and thought I would give it a read…little did I know it was written by you Liza! lol I signed Reagan up for dance and she just completed her first recital. My mom was a dance mom so I was reading it more to relate to her, but you never know if Reagan will start dancing more! Great read, talk soon! Ha! What a small world – love it!! I caught some of Reagan’s recital pics on FB. Awesome! Hope to see you guys soon; it’s been way too long! this makes me excited for what is going to come in ballet for my 5 year old. She started this year, and loves it. And she’s a natural. However, I am not a natural at being a dance mom. These women are (for the most part), self-centered, bitchy, and OBNOXIOUSLY rude (I type this from the floor of the ballet waiting room 35 weeks pregnant because they though the their toddlers and school age kids deserved to sprawl out on the couches instead of me…. for the 5th week in a row.) They seem to have known each other forever and no matter what, ignore everyone else. Even their kids are snobby. Tell me this isn’t all dance moms and I just picked a bad week for her to take classes this year. Honestly a few of the moms say hi to me mostly the ones that dont have girls on the competition team.However the ones that do except 1 rarely even smile and they have that bitchy attitude that they are better than everyone,as well as their child.My daughter just started dance and I have sat in the waiting room a few times and striked up a coversation or 2,other times trying to put my 2 cents in only to be ignored.My daughter in the other room got the same from the girls and was ignored and put to the back of the room by the older girls.I find it hard to believe my 7 year old who never took dance could walk in to such a ridiculous situation of being a threat to the other girls who had been there for years.I told her that it will all blow over and she will be in with their little clique before its over.She told me she doesnt want to be in their clique because she doesnt like bullies.I couldnt have been more proud.She goes in and stands and waits for the teacher to give direction with a smile and ignores the negativity with a smile.She said her goal is to get better and dance circles around them.Sometimes as parents we make the mistake of telling our kids one thing or to yank them out always seems so much more easy.However allowing them to problem solve situations on their own is just as rewarding when the decision your child makes on their own comes out on a better foot than your advice to them. The hardest (or one of the hardest) things about parenting, I’ve found, is allowing my kids to work through problems on their own when swooping in feels like the easier option. Well done on letting her figure it out, and hopefully the “clique-i-ness” of the other girls subsides soon! My daughter did recreational dancing from age 2-6, took 2 years off, returned to rec dance for a year and joined company at age 10. She didn’t start as young as most do, but she is loving it! She’s really grown as a person and dancer in a little over a year. I look forward to seeing what she can accomplish this season. I very much relate to this article. I am the mom of an 8 year old competitive dancer who will be performing her first solo this year. She only joined the company last year because the teachers said they wanted to wait until she would do the choreography (because she would make up her own on stage for the longest time lol). We put her on as a preschooler to give her something fun to do when my son was born, and everything has been a learning experience ever since (I never did anything like this growing up, art was always my forte). We go to a dance studio outside of our school district, so I don’t really have dance mom “friends”, but we talk and get along well. The worst parents I’ve met were the ones who were living through their children…and that happens at any level, even toddlers. I was wondering if you had any tips on avoiding burn out or overwork? I don’t schedule her for anything else, but we are still there often…she loves it, but I would still love to hear any suggestions you might have. Thank you so much for posting this. i found it very encouraging and I loved hearing about chasing hairnets at the last minute and the stockings…OMG!!! Having a daughter who is good at dancing has come as a complete shock to me. I was always uncoordinated and found out in my mid 20s that I’d been born with hydrocephalus or fluid on the brain and late in my mid 30s was diagnosed with a muscle wasting auto-immune disease which is managed through medication and I’ve had a few shocking times. In the front of our car, there’s my disabled parking permit and on my daughter’s window there’s “Dancer onboard”. I always thought that dance mums would be really glam with the perfect fingernail and into hair and makeup etc. However, my experience is that most of us are too busy to put much into ourselves and our putting our time and finances into our kids. I personally find it very hard when she doesn’t place or when she isn’t chosen for an audition. I can’t but think she’s perfect and i can’t understand why they don’t want her. Today’s audition was also really stressful for me. She’d been in the school musical this week and that finished last night and she had nothing ready for today and we were going there via the dance shop and none of this was next door and I’m pushing the boundaries of the speed limit and feeling like i’m driving like Mad Max. I was feeling physically shattered. She didn’t get chosen but said it was a good experience and I had to tell her that from my point of view, it wasn’t that the stress was through the roof. At the same time, I knew it was my job to be encouraging. I said that it was important to have a go and we did learn. We need to be more organized. She’d outgrown her jazz shoes and needed the tights and I rang the shop on the way and they had it all waiting at the counter. I must admit that was inspired. That’s probably my greatest advice is to be organized and I’m thinking of stashing a pair of pin tights, the bun bobby pins and a hairnet in my room. Most of us are juggling so many things that you can barely scratch yourself. I think there probably comes a point where your family has to decide how much you’re prepared to sacrifice for dance once your child hits age 10-12 and the pace accelerates. For anything pursued at a high level there’s more than just a financial cost. If you spend 6-10 hours a week dancing, that is time not spent doing something else. I find that it easily engulfs you and as much as I adore watching her and her friends dance, I know that it can become all consuming and that terrifies me. I joke with myself about how nice it would be if she became an accountant. It seems much more predictable. It’s funny how i can be so open here on a blog I haven’t been to before but it’s after midnight here and I was a bit wound up and just needed to get this off my chest. Thank you for being there. So many great points, here, and I agree that being organized really, really helps! Truly said. That one point use technique than turns was very well said. Also, dedication, hard work, and interest are important for becoming a pro dancer. Thank you for sharing such an informational blog. Definitely takes dedication, hard work and interest! Thanks! Make sure you have a good podiatrist! Your child’s feet will definitely be screwed up if they spend years practicing ballet!